Twitter is an “odd bird” – on paper it sounds positively pointless, and 90% of our customers who have never used it have trouble getting into that tweeting groove. What you do need to know is that there are roughly 280,000,000 active monthly users on Twitter, all either posting content or reading it. Now that is a lot of eyeballs! You can follow users to read their Twitter feed (which is a list of all their tweets) the more users you follow the more tweets you receive in your home feed. If you find yourself getting overwhelmed you can separate users into lists, for example you create a list of news company Twitter accounts, and then one dedicated to comedians to separate the content. Users can be addressed by using an @ symbol followed by their username for example @masamunedigital will create a tweet addressing us. Trends are identified with the # symbol or “hashtag” and are used to help people easily find tweets on a single topic or trend, you’ll often find brands or networks encouraging people to use their hashtag. For example “Just watched the latest episode of #Homeland – love Saul!” People using Twitter can then click on this hashtag and see who else is talking about Homeland. “Favorites” are a way for you to bookmark some of your favorite tweets and let the author know you are enjoying their content. “Retweeting” (RT) can be used to spread the love. By retweeting a user’s tweet you share that particular tweet with your own network, this is extremely powerful if done right. Now I’ve posted my tweet to my modest number of followers, one of my followers decides they like what I have to say and retweets it to their network – oh and by the way, they happen to have 10,000 followers! What are the chances one of those 10,000 will also enjoy that tweet and share it with their network, and so on. For example, Ellen DeGeneres’ Oscar tweet received over 3,000,000 retweets – think of it like compound interest. 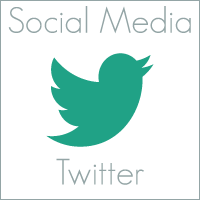 How can I get the most out of Twitter? Twitter is one of the few social media networks that translates very well for both Business to Consumer (B2C) & Business to Business (B2B) marketing as it has such a varied user base. Target people in your geography. If you’re a business that sells exclusively in Australia, engaging with businesses overseas might be fun, but it’s not going to translate into any immediate business. Use Twitter’s location features to try and engage with people in your region. Use tools like Hootsuite or Hubspot to monitor keywords and conversations. Do you sell artisanal cheeses? Look for people tweeting about cheese or things that go with cheese, like crackers or wine tasting. If someone tweets something positive about your business, why not retweet or favorite it and pin it to your profile as a testimonial? Are you a trend setter? It’s easy to jump in on existing trends by using hashtags, especially using tools like hashtagify.me – but the clever marketers create their own. Just look up Nike’s incredibly successful #makeitcount campaign from 2012 as an example of effective Social Media marketing. Hopefully this makes the 140 character wonderland we call Twitter a little more clear to some of you. If you’re still having trouble, why not tweet @masamunedigital and we’ll do our best to help.